All good with Emma. Sleeping works, boat works. She asked me to check out the wind forecast at windy.com, (quite an amazing site if accurate), and not being able to see the images herself, I recommended her to avoid the lack of wind straight ahead of her, and rather steer SWW until she reaches the lattitude of Madeira. 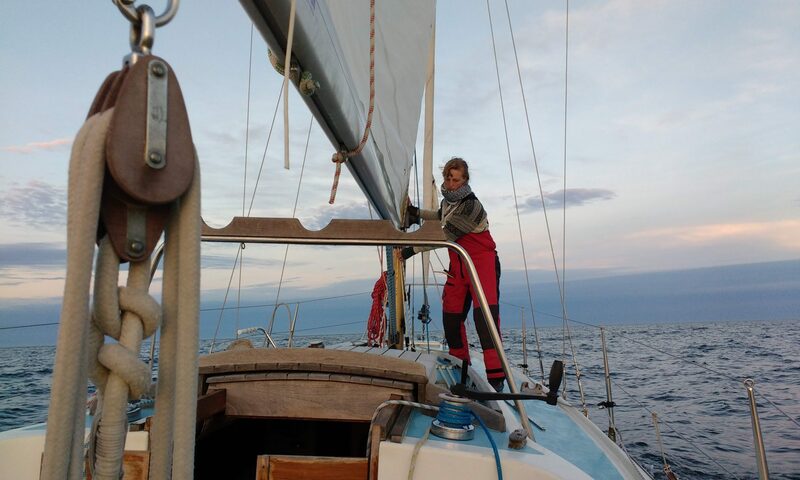 She is, however, going her own way (as she always does 😉 ), maybe longing for some easier sailing. The last day she’s been pushing the boat to about 7.5kN. The texting service is quite expensive on her behalf so there’s with few words there’s currently not much more to add. Oh, she belives she spotted a whale! Next PostNext Storm coming up..